Dragonfly farm is a family owned farm dedicated to the regeneration and health of the earth and it’s humans. Mother nature is our mentor. The vitality of water, soil, plants, humans, mycology and cellular renewal has been our focus for over 25 years. We have taken this focus and come up with an ideology that dictates everyday life on our farm. Our surroundings of glaciers, mountains peaks, forests, healthy ecosystems and vibrant northern life gives us inspiration to keep it pure and natural. Clear cuts, corporate farming, disturbed water sheds and human impact on our global community is the reality. We continue to learn about how we can co-habitate with the earth in a vibrant, symbiotic way. We are growing large gardens from nutrients we grow on our farm. 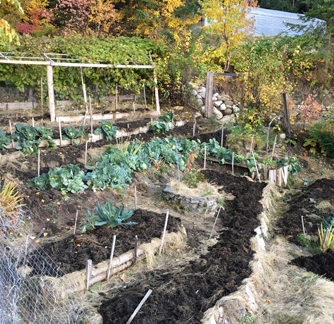 We build soils by piling compost and mulch on our large beds, layering the material to feed the living soil microbes. We feel our health and our soil’s health is our life’s number 1 priority and investment. Pure water, soil, food and medicine is a basic human right. It is essential to our health, our ecosystem and the earth’s positive evolution. 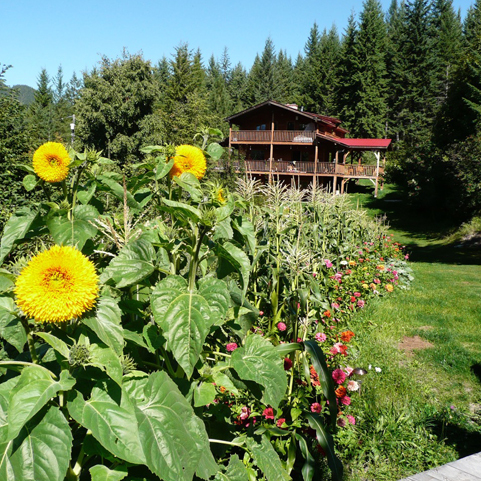 Our farm sits on a mountainside in British Columbia. 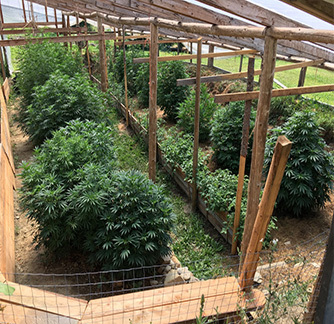 We grow veggies and medicine 9 months out of the year. We produce a tremendous amount of our year’s food. 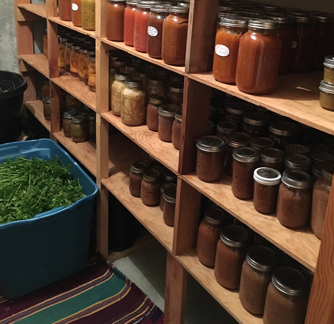 We use root cellars and proper drying facilities to preserve our foods for winter. We practice what we preach by not bringing in any inputs for our gardens. Dragonfly Farm is a labor of love and health. 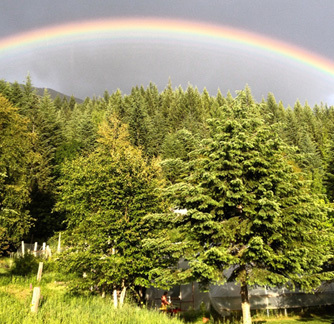 Dragonfly Earth Medicine is the business we created in 2007. It is an example of a Pure Business. We create both human and plant health products. 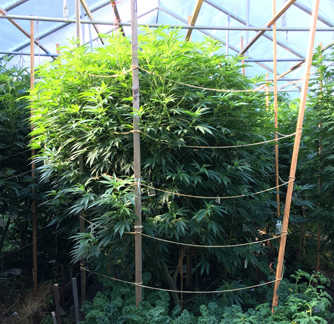 From the beginning we have been utilizing human grade organic medicinal herbs in all of our products. We research and source all ingredients from regenerative farms. All our bacteria, herbs and mycorrhizal fungi is produced organically using NO GMO substrates. Everything is packaged in reusable glass jars or food grade buckets. We use simple blank cardboard, and plain non chlorinated paper. It can be used as worm food or put directly into your compost. We take time to look through every process of our company and We have produced No Garbage from our packaging in 10 years! We grow biomass on our land and wildcraft the surrounding landscape to create all teas, mulch, and compost. No commercial inputs are brought onto our land to grow our soils! We have utilized all local and indigenous plant life as nutrients. We utilize animals with open systems to bring food to our family and fertility to our land. Our chickens live on different parts of the land depending on the season. 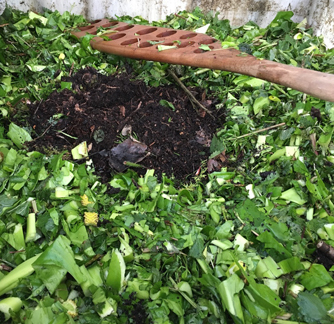 We eat the eggs, use the shells for calcium supplementation and amend chicken compost in our gardens. They “Chicken Tractor” around our heavily mulched greenhouses in the winter bringing life to the soil. We have had Percheron work horses on the land that are used to farm thousands of pounds of organic food to our local community. We have a micro hydro system which utilizes silicon salt batteries, to power our greenhouses, nursery, and supplements our other buildings. We use Walipini Pit Greenhouses on our land. We have a 40 x 70 walipini dug 10’ into the earth on the uphill slope, and 6’ on the downhill. This helps us use geothermal earth energy to grow our plants, and soils. This greenhouse uses zero electricity and grows our biggest plants. The soils have been regenerating in the walipini. Our circular greenhouse is called the Mothership and is a circle with a 55’ diameter made all from local wood materials, half of which were salvaged from our lake shores due to spring landslides . It is dug 10’ into the ground on the back wall and is totally open in the front. Each greenhouse has it’s own unique soil make up and mini terrior. We grow MOST of the food we eat all year. A root cellar is used to save our food through the winter. We feed all 3 of our dogs with raw dog food produced on our land and a close neighbor. 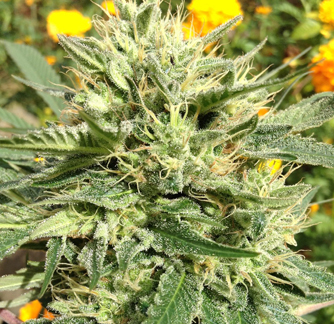 We make CBD rich dog treats with plants grown on the land! We love our dogs, they are an integral part of the success on our land. All the water on the land is gravity fed spring water. The water comes out of the earth above our house and is captivated in a water box and distributed to all parts of our land. 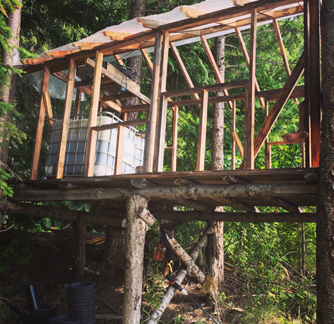 All tea station are elevated 8’ above ground to allow for gravity fed feedings. Every year we save all our seeds and tubers. We allow a portion of our garden go to seed to enable us to save seeds and “climatize” our genetics making them more vigorous and healthy. Often people focus on the vegetables or fruits of the garden and forget that plants want to reproduce, so the garden has many uses. Colorful foods are very important to our health; biodiversity brings many important compounds often lost in main stream cultivars. Heritage plants hold more nutrient dense health to humans. 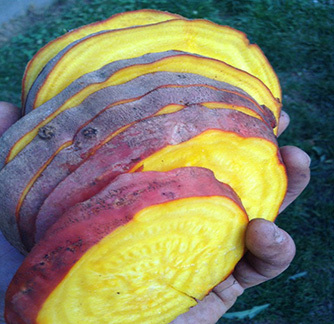 We focus on indigenous native varieties of food on our farm and saving those seeds is imperative. We maintain over 20 different domestic and wild varieties of apple trees on the property and are planting new fruit trees every year. We make many things from these apples. Fusing medicinal polypores from the forest like Chaga, Red Belt, Artist Conk, and Amadou into Apple Butter is one of our favorite winter treats that keeps us healthy. We make Apple Cider Vinegar from the apples. We ferment the apples into a nice hard cider for special occasions. Last but not least we utilize a fruit press to make fresh apple juice, and we can freeze it so we can drink it all year. Pollinator Gardens are a big focus on the property to enhance the biodiversity for ultimate plant health. We grow flowers all over the property. We have long strips of land devoted to just flowers to enhance the life of pollinators. Colony collapse disorder is a huge problem on earth right now. Bees are being poisoned by big ag., and it is killing their colonies. Bees are not the only thing being effected. Pollinators make up many types of species such as Moths, Pollen Wasps, Predatory Wasps, Bee Flies, Hover Flies, Butterflies, Beetles, Miner Bees, Ants, and even bats and birds can be pollinators. 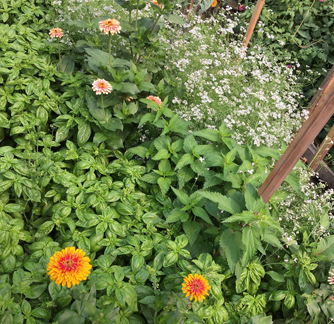 Our gardens are laid out in a permaculture interactive polyculture setting which creates an environment for all these species to thrive and help create the harmony we need on our gardens. We have bird houses on the property that house swallows and their babies every year. There are many wild areas on the land which create homes to many wild birds. We have Bat Houses, wild bee hotels, and many other types of homes that enhance wildlife. They help create a balance with insects, the noises are beautiful, and seeing colorful birds flying through the air makes you feel good. We use carbon sequestering techniques, like swales, hugelkulture, and no burn agroforestry to enhance our soils, and indigenous microorganisms. 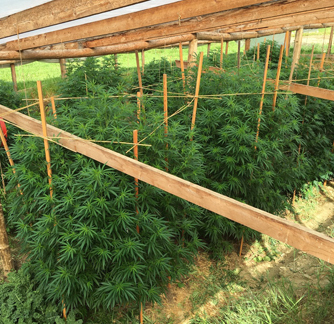 We utilize regenerative soil beds for all of our foods and cannabis. All our beds are deeply connected to the earth. All work is done with hand tools, and wheel barrows. There are no tractors, rototillers, 4 wheelers, or machines used to maintain the farm. We pull weeds and cover crops and no tilling is ever done on the land. The closest we come to tilling is pulling weeds. Pulling weeds and mulching provides health and balance for the soil we are working so hard to achieve. We do use large excavators when doing initial earth works terraces, however as soon as they are done all the work is done by hand. The slope of our land along with this work keeps us healthy and thriving! All our products are offered in reusable jars and buckets. All of our boxing and packaging is made of clean brown cardboard so it is easily assimilated back into the compost or gardens beds as mulch. None of our packaging created garbage!! It is our goal to create our land to be an oasis of life on earth. We are in a time on earth where species loss, and marine die off are a massive problem. Our farm and all other Pure Certified farms carry this ideology, while producing the highest quality food and medicine. It is so wonderful to see so many farms growing in harmony with nature. Natural Farming, Biodynamics, Kinship Gardening, Permaculture, and Wise Woman Herbalism all teach us the knowledge of the past, and help us plan for the future. It is our mission to help people ally with nature and to understand how to utilize natural systems and become self sufficient. The earth and its creatures have reached the “tipping point,” and we must create change and Regenerate the land with Living Soils, and Living Systems of Biodiversity!